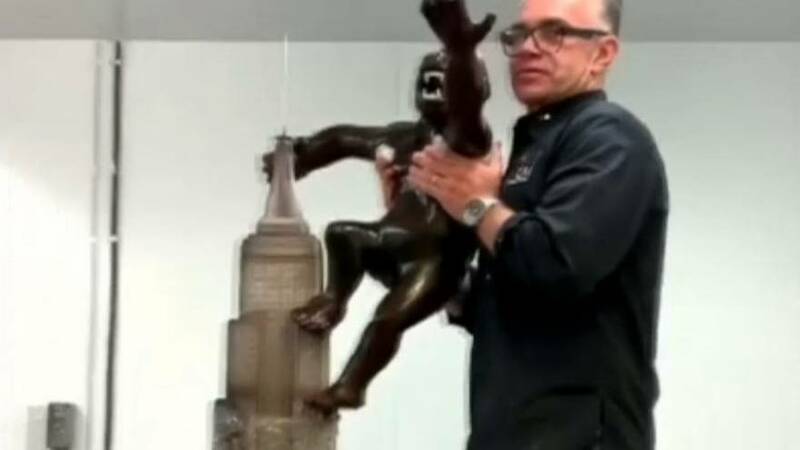 Two chefs have joined forces in Montreal, Canada to create a large sculpture of movie monster King Kong scaling the Empire State Building — made entirely of milk chocolate. The creation of the 1.8-metre tall artwork was captured on camera in a sped up video posted on social media. In total, it took Amaury Guichon and Christophe Morel 26 hours to complete the 61.2-kilogram structure. It depicts the famous scene where the giant gorilla climbs the New York skyscraper in the 1933 Hollywood classic.